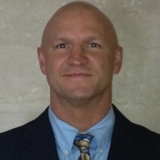 Kevin Summerlee is a top leader and company performer in national sales managing markets in United States, Canada, and United Kingdom for World Dryer/American Dryer. Kevin is responsible for developing and executing sales and marketing strategies. He works with architects, c-level executives, building owners, engineers, construction managers and contractors through all stages of the design and construction process. Take One of My Live Webinars!